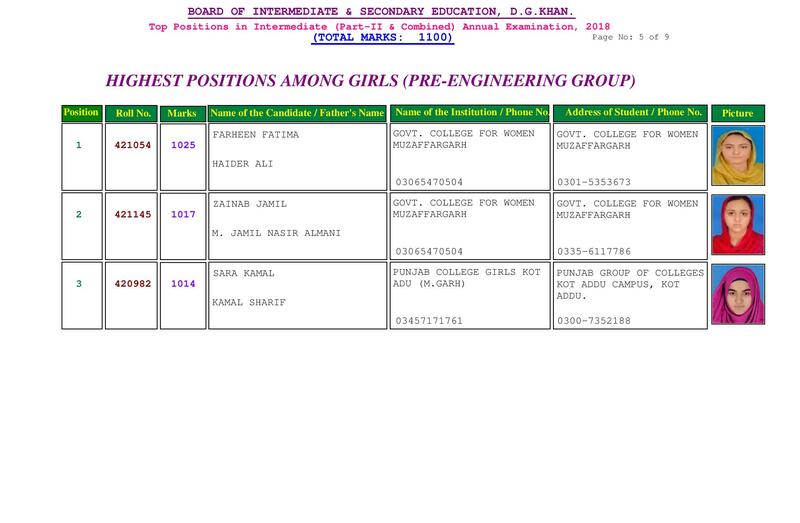 Board of Intermediate & Secondary Education DG Khan is an important educational board of Punjab which has the responsibility to conduct matric and intermediate level annual and supply exams in the districts of DG Khan, Layyah, Muzaffargarh and Rajanpur. 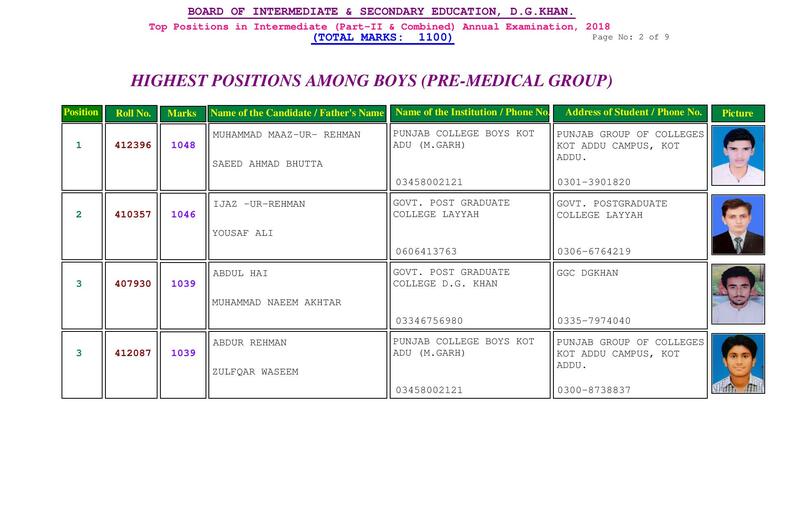 All the schools and colleges, either private or public, in these areas are affiliated with the DG Khan Board. Every year, thousands of regular and private students participate in the SSC and HSSC annual exams and numerous examination centers are formed in these areas according to the requirement of the board. 9th and 10th class annual exams of written and practical papers are held in March and April while 11th and 12th class annual exams are held during the months of May and June. All the students try their best to achieve good marks during these annual exams while the results of the exams are issued according to a regular schedule. The result of 9th and 10th class annual exams is issued in June while August is the month when DG Khan Board issues 11th and 12th class annual exams results. 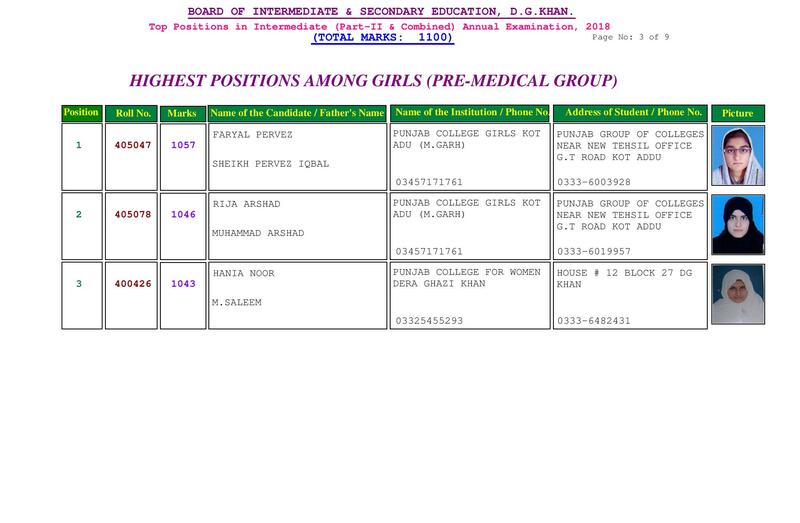 Soon after the announcement, the results are uploaded at the official site of the board while the board also dispatches the result cards at the mentioned addresses of the students. Just after few months of the annual exams results, the supply exams of matric and intermediate class starts for the unsuccessful students of the board. The supply exams results of both the students are issued within one or two months of the exams while these results can be viewed at the official site of the board by the concerned students.